I can tell when I did mine….tonight! The oil light went on in my car so off for an oil change I went. While there they asked me about doing what felt like a million things. One of them was the cabin filter! want to learn more about why taking care of your car is so important: take our online class! 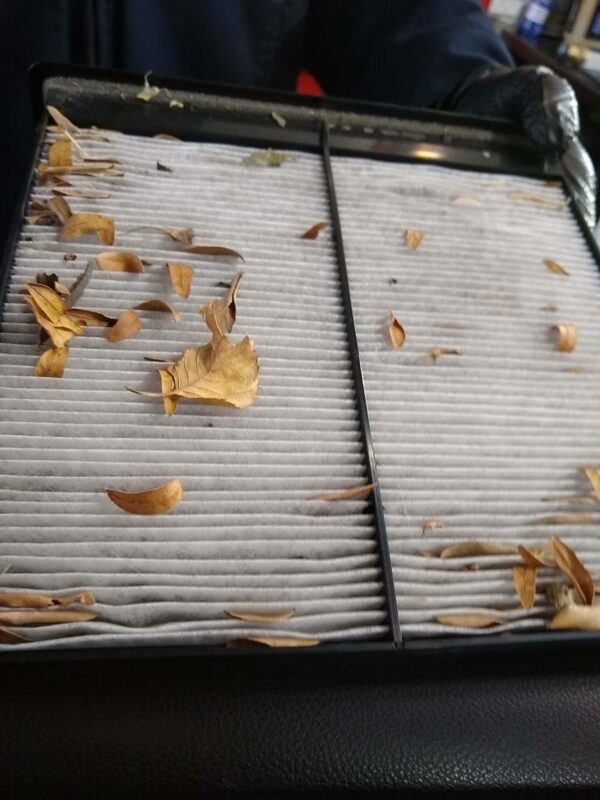 So what is a Cabin Filter? This is the filter in your car that protects you from pollutants coming in! It catches dust, pollen and other airborne material that can make riding in a car unpleasant. The pic above is my dirty cabin filter. Look at all those leaves and the gray discoloration and DIRT..ewww. I have 2 kids i drive around in that car the air needs to be better than that! Ok so how often do I change it? When you should change your cabin filter varies! Some say every 12,000 or 15,000 miles, others longer — and how often can depend on how much you drive and where. If you drive in heavy traffic in an urban area that has poor air quality, you could need to replace the filter annually or even more often. However, that also could be true in a desert climate where there is a lot of dust. So i may have jumped the gun on changing mine but man that was allot of leaves! I will have more blogs about car maintenance soon! Remember check your air, take care of your car and as always DRIVE SAFE!